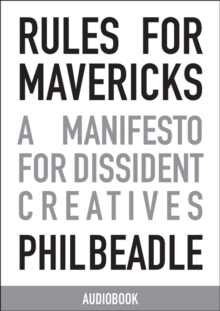 Rules for Mavericks is a guidebook to leading a creative life, to being a renaissance dilettante, to infesting your art form with other art forms, to taking a stand against mediocrity, to rejecting bloodless orthodoxies, to embracing your own pretension and, most of all, to dealing with your failure(s). It is written by someone who has achieved and has failed in more than one field: Guardian columnist, award-winning teacher, award-winning broadcaster, author, editor, singer, songwriter, producer and public speaker, Phil Beadle knows a bit about leading a life producing good work across a variety of platforms. In this elegantly written book he glides and riffs around the idea of maverick nature, examines the processes of producing good work in creative fields and broaches the techniques that orthodoxies use to silence dissident voices. It is a 'how to dream' book, a 'how to create' book, a 'how to work' book and a 'how to fail productively' book; it is an examination of the many accusations that any dissident creative will face over a long career stirring things up, a guide to dealing with these with grace and a study in how to make creativity work for you. Rules for Mavericks is for anyone who wants to live and work more creatively and successfully.